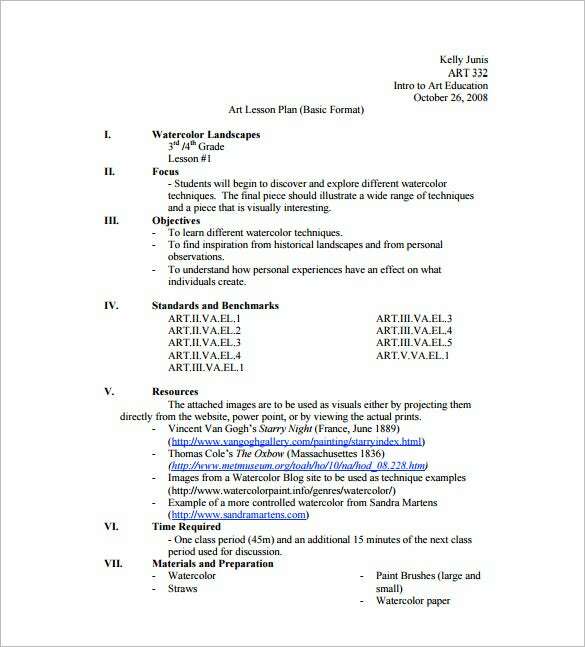 Art Lesson Plan Template – 12+ Free Sample, Example, Format Download! 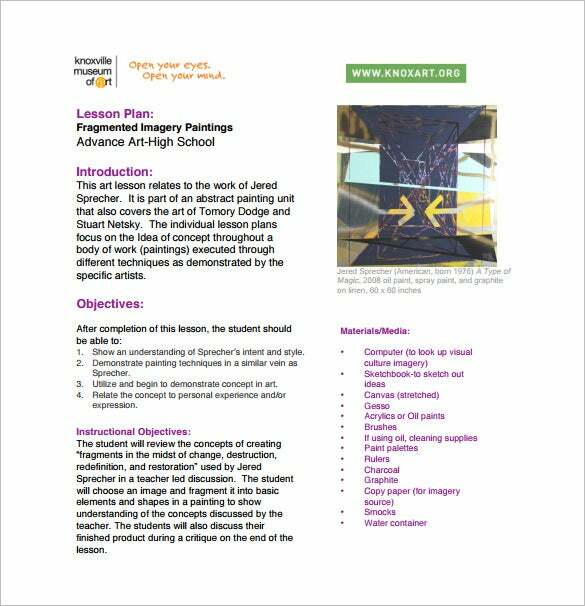 If you are an art teacher and looking forward to maintain an organized approach in your class, you should follow an art lesson plan. 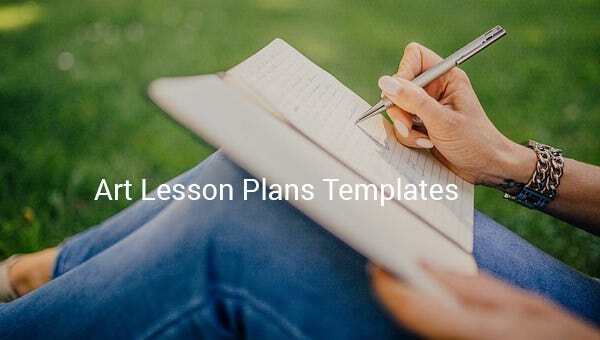 The lesson plan template would present a clear & elaborate idea on the different art lessons to be introduced in your class each day along with the main points about the lesson- Lesson name, description, duration, the particular area to be taught, the pre-requisite supplies, anticipated outcome etc. 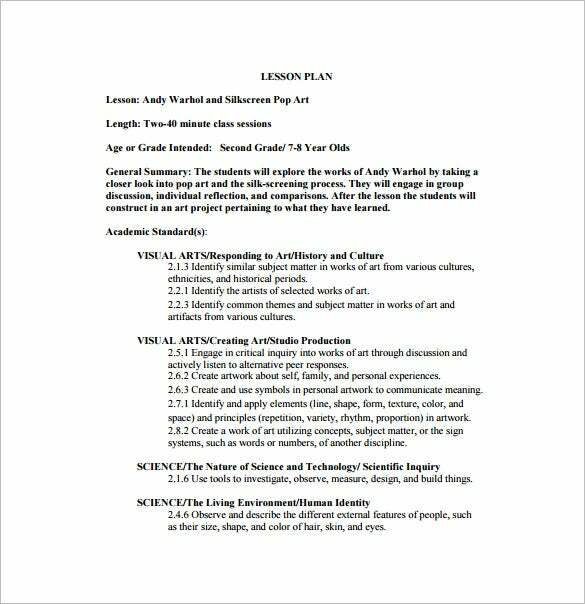 You May also Like SIOP Lesson Plan Templates. 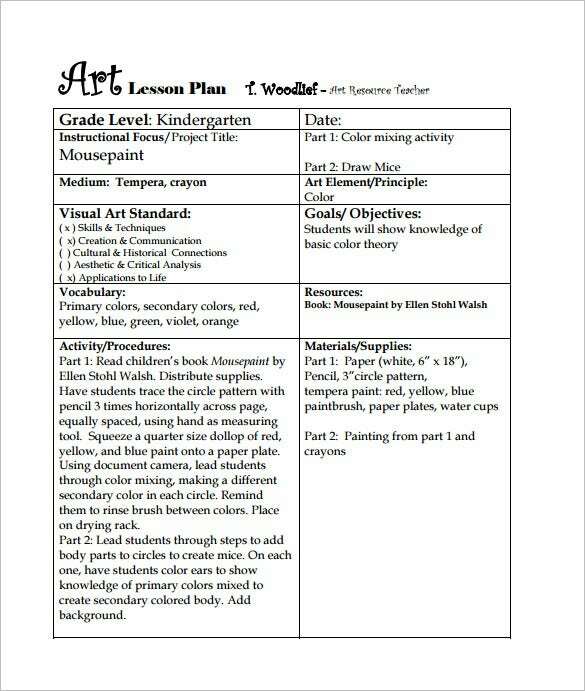 aps.edu | This elementary visual art lesson plan comes with the different aspects of a lesson plan such as lesson title, grade level, medium used, objective, vocabulary, Standards, resources used, procedures and so on. 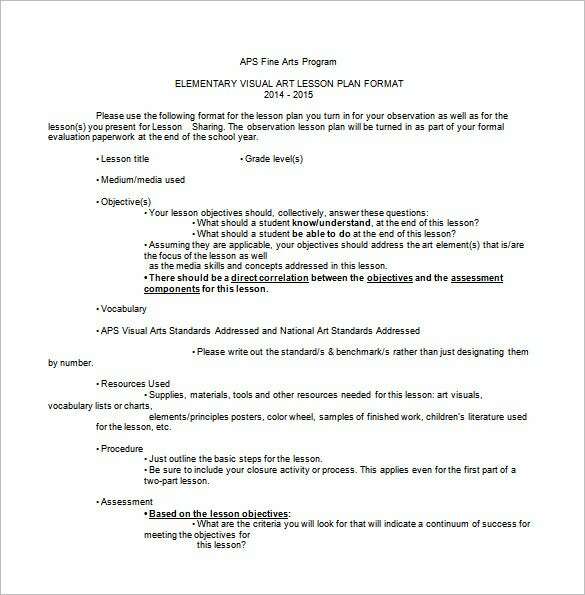 panthers.k12.ar.us | This is a starter OP Art lesson plan includes different parameters that make a standard art lesson plan and these include sample artwork, procedure, resources as well as curriculum standards. 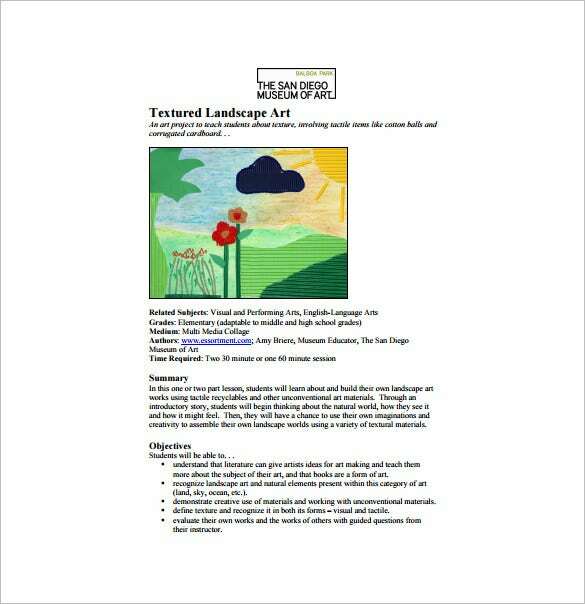 henry.kyschools.us | This differentiated language art lesson plan sample begins with a box on lesson concept, content objective and language objectives. 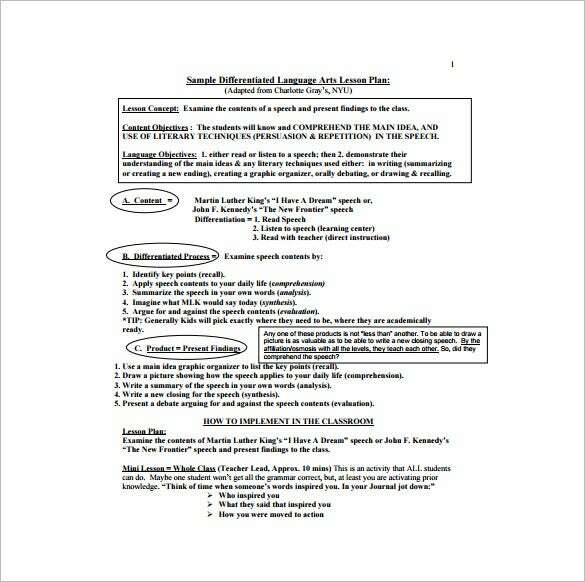 Then, it goes to discus about content, differentiated process, product and lesson plan. 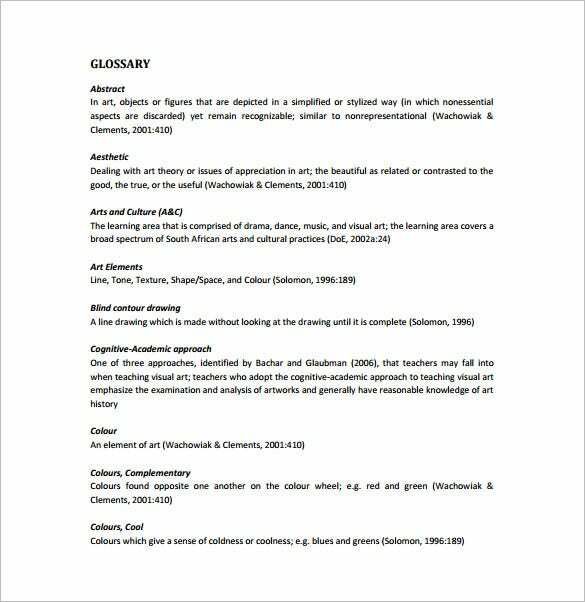 digitalknowledge.cput.ac.za | This VisualArt lesson plan template here has come up with an extensive glossary that starts with abstract, aesthetic and then goes to include arts & culture, art elements, blind contour drawing, color etc. 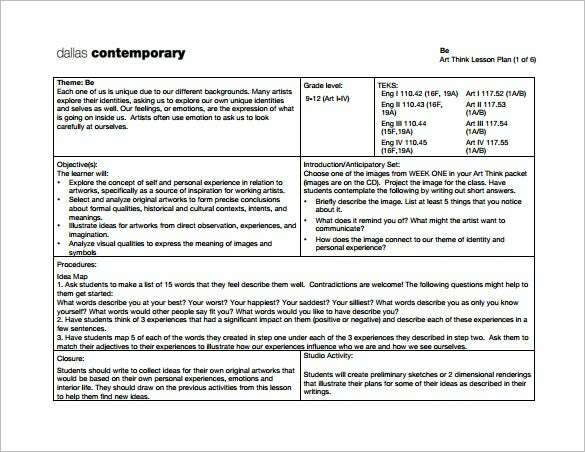 dallascontemporary.org | This art think lesson plan has got all the parameters listed in different boxes on one page and here you have pointers on theme, grade level, objectives, introduction/anticipatory set, procedures, closure & studio activity. 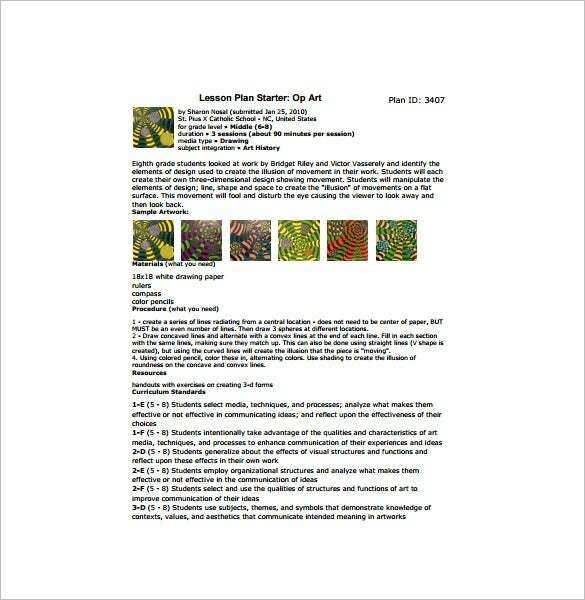 lessonplans4teachers.com | This language art lesson plan template has come up with a table on subject, date and activities. 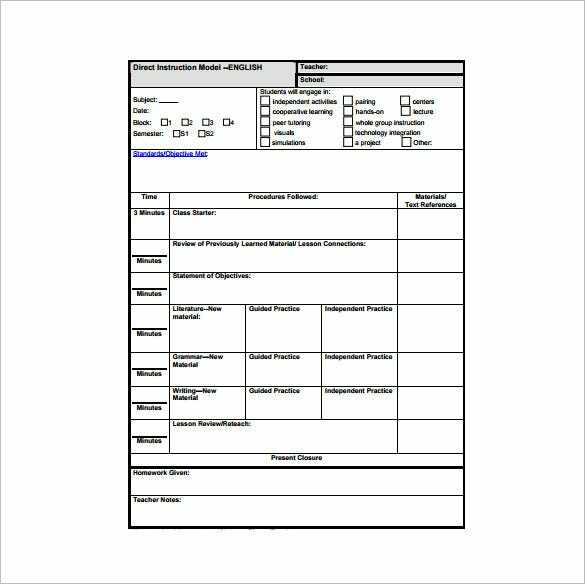 The, you have another table on the same page for the procedures to be followed , materials to be used & time. 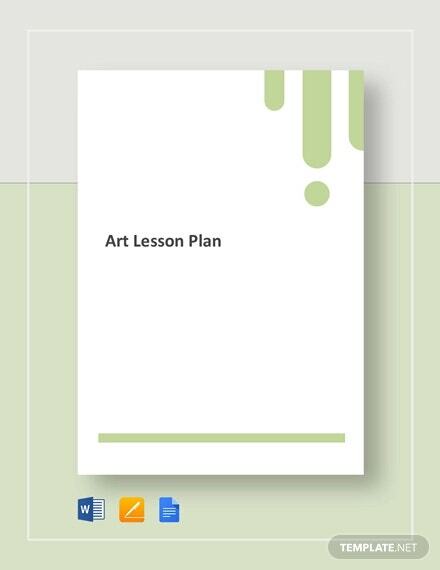 The art lesson plans template example ease the pressure for every art teacher by providing them a pre-defined lesson plan that comes with all the important points you want to highlight in every class. 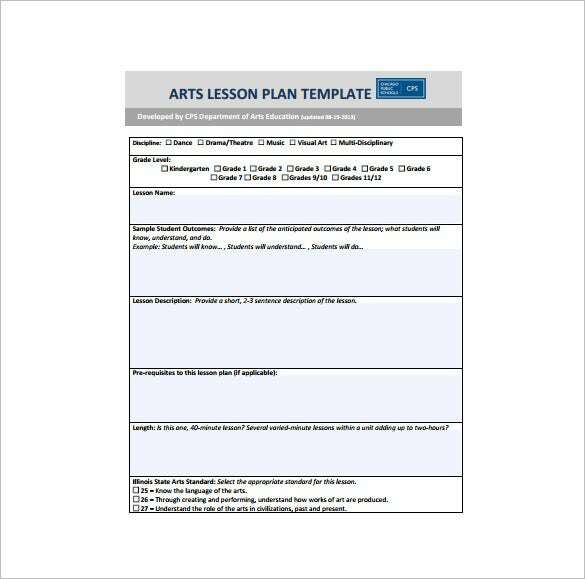 These Lesson Plan Templates are available for every grade like elementary, middle or high school.